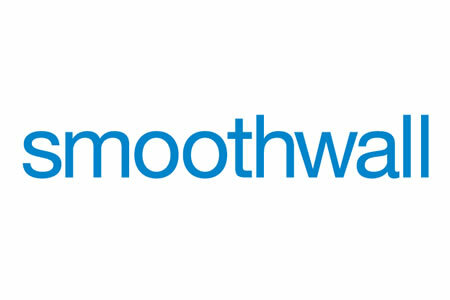 The Inverness update to Smoothwall products sees several improvements made to the firewall and Safeguarding features to improve usability. The changes made to the firewall include a new user interface that clearly displays all firewall rules, together with the configuration specified for each. The rules are also displayed in groups of similar rules to make administration easier. Configuring and editing firewall rules has also been simplified with a new pop-up that requires fewer clicks. Objects can be created and used for groups of IP addresses and services, with one rule applying to several different addresses. Objects can also be reused for other rules. Improvements have also been made to the firewall log viewer, incorporating more information on the screen to make it quicker and easier for users to find the information they need. Details of specific connections can also be found more easily thanks to a new log filter system. The web filter benefits from two new filtering categories – Web Hosting and Collaboration Software. The Web hosting category includes sites that offer hosting services and domain names, while Collaboration Software contains web applications for enterprises such as CRM systems and sites that provide software for collaborative document editing. The changes to Safeguarding include an improved intent engine that is better at identifying what users intended to do, not just what the browser displays. The user breach reports now have search suggestions and results removed, only showing the information Safeguarding officers need to make informed decisions. Smoothwall has incorporated the option of setting up alerts against user groups as well as individual users. Instant alerts can be set to be sent to specific individuals when danger level breaches occur that meet predefined criteria. Those alerts can be sent by email or SMS. Prior to installing the Inverness update it is first necessary to install the Hearst update which involves major re-factoring of the system. An install time of 30-40 minutes is to be expected for Hearst, with the update requiring four reboots.